This is a sponsored post written by me on behalf of 16 Water. All opinions are 100% mine. I’m willing to admit that a handful of years ago, water was my least favorite beverage of choice. In fact, I’m certain there were even days I didn’t drink any pure water with all the soda, juice and tea I drank instead. Fast forward to my healthier lifestyle of today, water is now the beverage I reach for first and I really do try to drink at least a gallon a day. All water is definitely not the same though, which is why I was eager to give 16 Water a try. 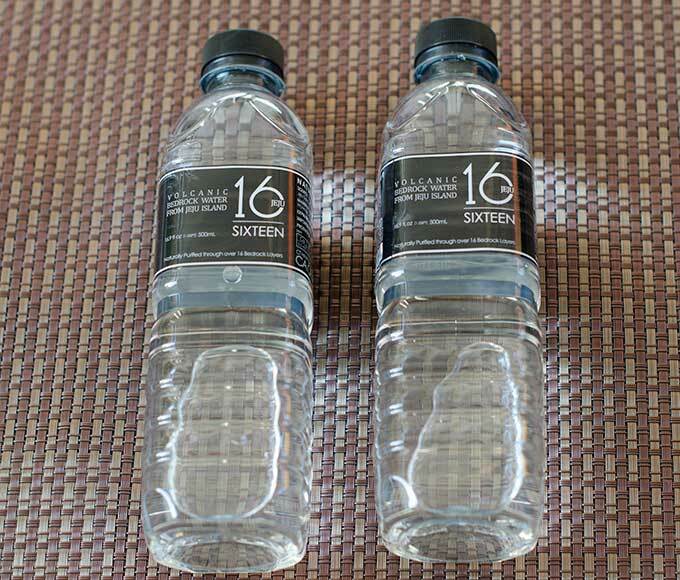 16 Water is a high-quality bottled water that is produced and packaged on Jeju. Jeju is a volcanic island off the Southwest coast of the Korean peninsula, formed by volcanic eruptions. The eruptions also created a series of underground reservoirs below the volcano Halla Mountain which are continuously filled by rainfall. The volcanic soil provides a natural filtration system, and also leaves healthy minerals in the water. The water is named 16 Water due to the 16 layers of volcanic rock. 16 Water has become the number one water brand in mainland South Korea and has been gaining popularity in both Japan and the US. What’s Smart and Savvy About 16 Water? Naturally filtered water through volcanic rock/soil. No filtered tap water here! I’ll be the first to admit that when it comes to water, I am pretty picky. It probably has to do with the fact that I was spoiled growing up by living in an area that had award-winning water. I never really realized how lucky I was until I moved out of the area and had to witness first hand just how awful tasting some waters can be. For example, at our current house the water can smell to high-heaven when running, so my mouth won’t touch it with a 10-foot pole. We care so much about our water that we actually subscribe to a monthly water delivery service with the office style water cooler. But, sometimes I just want to take a bottle on the go or stock the mini-fridge upstairs and filling our own bottles isn’t always practical. So, I was expecting a lot when I tried 16 Water, and I was pleasantly not disappointed. The taste is crisp and clear, honestly without much flavor at all, but to me, that’s what a good drink of water should be. Mr. Savvy and I agreed that we really enjoyed the water compared to many other brands, and especially the tap, and would drink and buy it in the future. 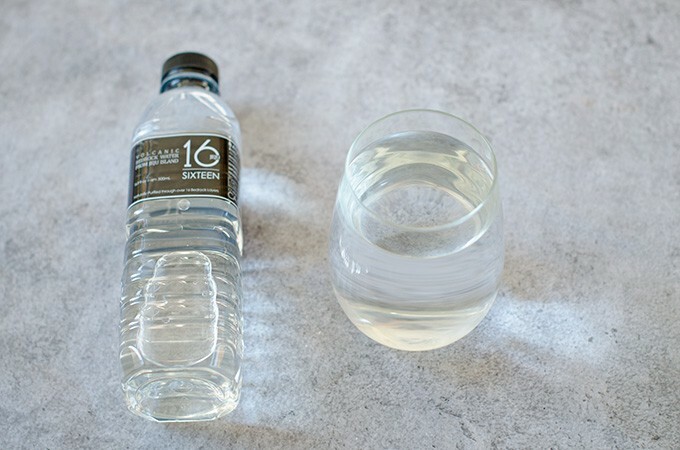 I think the story behind 16 Water is rather neat, plus it’s nice to drink healthier water that hasn’t been treated with chemicals or had unnatural nutrients or flavors added to it. Since we drink so much water, I do kind of wish that the bottles were bigger. 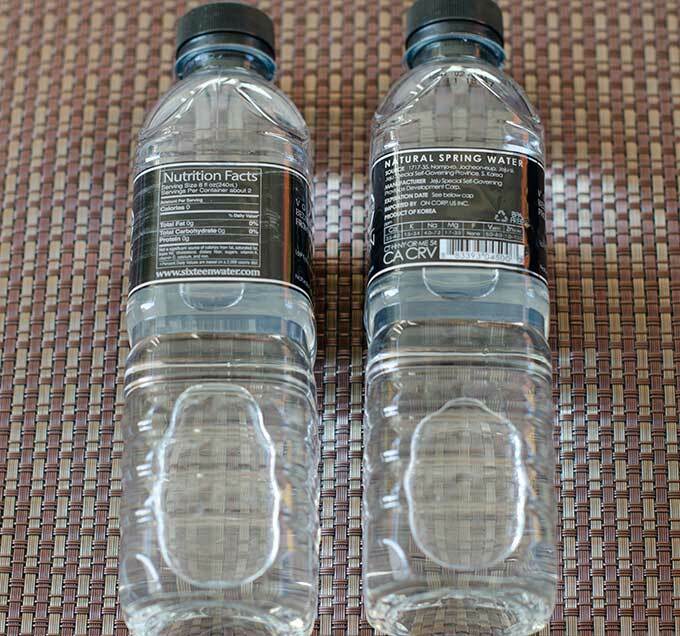 But, one neat feature of the bottles is that they are squared instead of rounded. This means they won’t roll around as easily, and they fit in the fridge easier. And, with the shape, I can even fit in an extra bottle or 2. 16 Water is a winner that we look forward to continue drinking in the future! Visit 16 Water online for more information or Get your 16 Water on Amazon now. You can even find 16 Water on Facebook.